It’s always nice to see brands adopting new tech for their communication efforts. Especially if it means that fans and everyday people also have these cool tools at their finger tips… if they have a smartphone. Paper Denim & Cloth‘s jump into the Instagram-band-wagon actually works! They have the background of using the look that Instagram creates since their first lookbook in 1999. 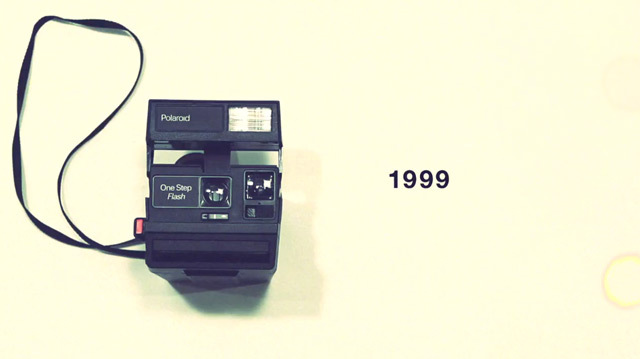 The 1999 Polaroid would automatically give the photography that so desired treatment that Instagram became popular for, but a Polaroid did this with just one push of a button. This style used by them in the past and their adopting of Instagram for their next line’s lookbook is a natural progression. This effort is also inline with their mission to make their brand accessible. It is an all around win; need not mention the power of connectivity to millions by the Instagram + Facebook marriage. The video also shows one more very important factor in transparency by the company, this is the disclosure that they will be using the professional help of Cristoph Lange, lighting director. Lighting control is one of the most important factors (if not the most) in great photography. What this means is that when you see a Paper Denim & Cloth photo and you go out to take a similar photo, it may not look the same. The lighting director will probably have an expensive and elaborate lighting set-up to make the shots a bit more amazing and unique. This is a great thing that Paper Denim & Cloth has done, letting us in the know with this detail about the shoot. We hope it inspires more photography lovers to play with lighting that much more. Lighting control is where it is at. We can’t wait to see the work.